Today the 114th Congress is sworn into office and for the first time in eight years, Republicans control both Houses with a strong majority. In fact, according to Politico, the GOP hasn’t held such a commanding majority since 1928. For mainstream, pro-choice Republicans, this new Congress will bring both increased opportunity and new obstacles. At RMC, thanks to your support and contributions in 2014, we are not wasting any time. Our team is on Capitol Hill starting today and we are going to make sure Republican leaders know the importance of preventive health initiatives and the consequences of advancing dangerous anti-choice legislation. But more importantly – these leaders need to hear from real Republicans across the country. This means you. 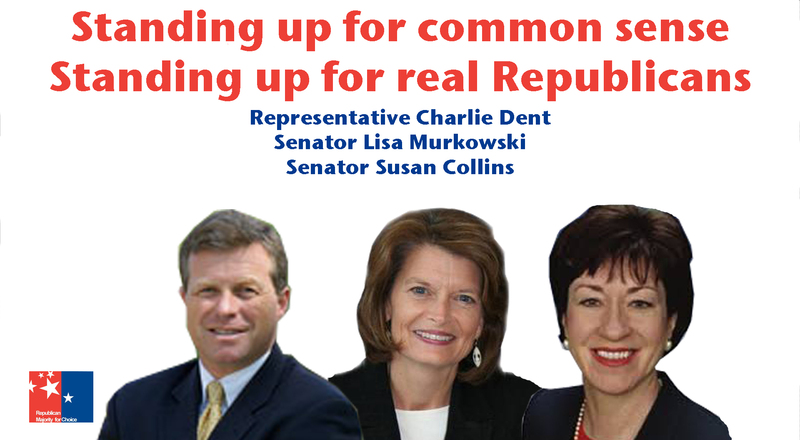 RMC has launched a new online Campaign for Common Ground that will bring your voices to Republican members, new and returning. Through a series of virtual lobby days including videos and social media efforts pushing our message nationwide, we are going to hold GOP members accountable and make sure new policies reflect real Republican principles of fiscal conservatism, small government and individual liberty. For two long both parties have used women’s health issues as a political football. Enough is enough. THANKS to those who have already renewed your membership for 2015! We hope you’ll forward this information to your own contacts and help us grow the numbers of vocal pro-choice Republicans nationwide. Support our #Campaign4CommonGround now – and let us be your voice in Washington! These Mainstream Republicans Need to Hear from You! Politicians from both sides continue to treat family planning not as a personal medical issue but as a political one. This week, Democrats and Republicans are once again competing for the spotlight – and for women’s votes – with two bills in the Senate that claim to increase women’s access to preventive family planning. But with little chance of compromise on either side, it should be no surprise that neither bill will pass. But we haven’t given up hope– and neither should you! Yesterday, mainstream Republican Senators Lisa Murkowski (AK), Susan Collins, (ME), and Mark Kirk (IL) voted to continue discussion on legislation that would ensure women still have access to insurance coverage for preventive healthcare, should they want it. Even with the support of these Senators, this bill did not get enough votes to move forward. Politicians from both sides continue to treat family planning not as a personal medical issue but as a political one. Senator Murkowski issued a statement saying she is still opposed to the problematic and expensive Affordable Care Act – but that this vote is consistent with her long-held belief that women should have access to affordable birth control. These mainstream Republicans understand that contraception is a fundamental part of reproductive healthcare and one that empowers women to take responsibility for themselves and their families. While both sides continue to use women’s health as a political tool, these Real Republicans truly put prevention over politics. 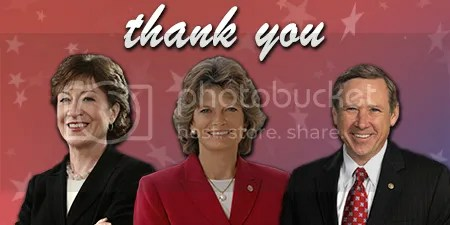 Join RMC in publicly thanking these brave Senators who are not afraid to reach across the aisle to protect women’s access to preventive healthcare! Show your thanks on Twitter, share this message on Facebook or call the Senators personally today. They need to hear from you! WASHINGTON, DC (October 29, 2013) – The Republican Majority for Choice PAC formally endorses Joe Lhota in the New York City Mayoral Race. Republican Majority for Choice works within the GOP to convey mainstream sentiments on commonsense social policy. RMC PAC endorses viable pro-choice Republican candidates who support protecting access to the full range of reproductive options including education, prevention, motherhood, adoption, and policies that ensure abortion remains safe and legal. RMC PAC endorses Joe Lhota as a supporter of the priorities of mainstream Americans, committed to putting partisanship aside to advocate for effective policies. Lhota’s approach to governing stems from his belief in individual freedom and common sense fiscal values. “I have been a Republican all my life. I am a prochoice Republican because I believe in the basic Republican principles of limited government, low taxes, the right to bear arms, a strong national defense, personal responsibility, individual freedom and the right to privacy.My family stressed the importance of being a good citizen and of being an active participant in the democratic process. For us, that meant getting involved in the Republican Party of Virginia by handing out information at the polls, working in campaigns, going door to door with candidates, as well as working at the Virginia General Assembly. Eventually, I moved beyond these activities to staff positions on campaigns. The more involved I became, the more I began to realize that something was not right. I knew we were the party of limited government and the right to privacy, but found that those principles were not applied to women’s reproductive rights. How was it possible to be a Republican and at the same time support expanding the long arm of government into women’s personal lives? A reporter once asked me, “Why do these women and men who feel so strong about being prochoice remain in a party dominated by prolife supporters?” Easy. To be Republican and prochoice is to be consistent. The Republican Party has historically been a party of limited government. In fact, the traditional Republican philosophy argues for less government interference in all aspects of Americans lives, based on the theory that individuals make better decisions than governments do. 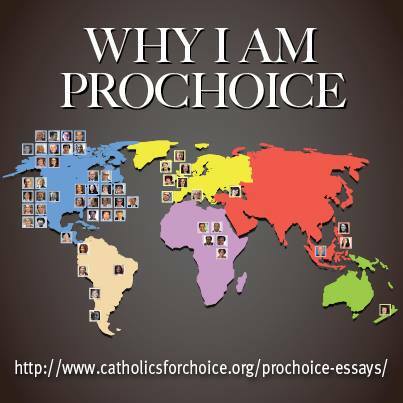 I began to stand up on behalf of all limited-government, prochoice Republicans. I worked within the party, serving on State Central, the governing body of the Republican Party of Virginia, staffing major state campaigns and, eventually, working for Republicans in the offices of the attorney general and the lieutenant governor. Finally realizing that I could not make a difference working within the existing party structure, I left the lieutenant governor’s office and formed a Virginia chapter of the Republican Majority for Choice and found that there are many limited-government, prochoice Republicans in Virginia. In 2005, I ran for the Virginia House of Delegates as an Independent and defeated a right-wing antichoice Republican incumbent. Even though I had always worked within the Republican Party, I could not run as a Republican because the nominating process was rigged in favor of the incumbent, and no one wants to get involved in a fight they cannot win. The Republican Party went after me with a vengeance, making me their number-one target and defeating me the next election. Redistricting, along with the closed Republican candidate selection process (convention or mass meeting) that favors right wing candidates keep good people from running. The motto of the Republican Party of Virginia is, “Keep it small, keep it all.” It is all about power and control. I used to say, “I am passionately Republican and I am passionately prochoice.” As a woman, a mother of two daughters and a grandmother of two granddaughters, it is difficult today to be passionately Republican, but I am still passionately prochoice. To read more personal accounts or to share your own story, head on over and check out the full project here.